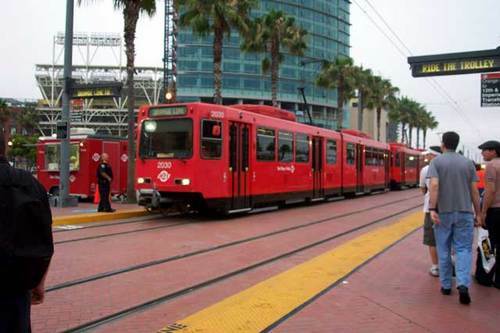 San Diego has great public transportation. At least in comparison to COTA, here is columbus. We could always find a tram, shuttle, bus or even those rickshaw-like guys on bikes who will give you a ride.